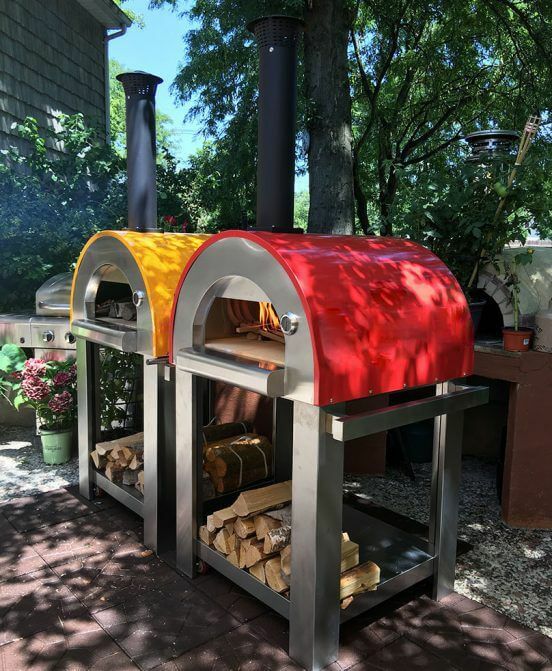 The Revolving Brick Oven is one of the best ovens I have ever used. Its also one of the biggest things in Italy. Soon to be in America, You can quote me on that!. The revolving brick oven burnrs wood or gas or both. As the oven floor rotates it cooks pizza perfect every time. You wouldn’t think that the pizza would cook so evenly but the heat distribution is just perfect. The pies are cooked in about two minutes and you can make pizza after pizza never burning anything or under cooking them. I think its future for all pizzas. No sence on being a slave to the oven.